Our guests for today are the beautiful, intelligent, industrous and award winning comic twins who got into the entertainment industry fully in March 2017 and by December 2017, they could boast of the Online Comedian of the year award. Aren’t they special? 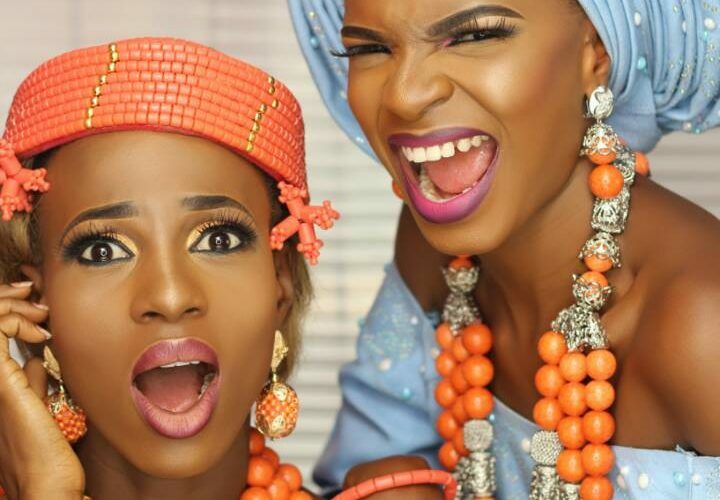 These beautiful entertainers are Adigun Omobolanle (omobola_val) and Oyedele Adebisi (mz_wandecrown) who are popularly known as the Oshisko twins. These ladies are both graduates of Theatre Arts from the University of Ibadan, where they first met although as mere classmate. Destiny brought them together again in March 2017, when they were both cast for the role of twins in a TV series and they played around the fact that they could pass for real twins. That same day, they were left alone in their hotel room and they felt the urge to do something with their leisure and after several minutes of deciding what to do with their time, they decided to mimic Yoruba film advert style. This resulted in their first comedy skit; “Pata Ojiji” which the likes of Raphael Niyi, Jude and Efe Orhorha encouraged them to post on social media platforms. With courage, they did and realized few days later that it has attracted a lot of traffic, especially with African Funny Pics re-posting it. This was the beginning of their careers as comedians. After this, they were contacted by veterans in the entertainment industry encouraging the Oshisko twins to keep up their creativity. Shortly after, they produced another of its kind; “Iya re” which is a comedy that talks about the recent sufferings in the country. It was this skit however, that brought them into limelight as HIP TV and some other media platforms aired it. They have been impressive since then and the unique thing about them is their ability to talk at the same time, yet with clarity. Omobola has quite a number of iconic models who include, Taraji P Henson, Tyler Perry, Adesuwa Etomi Wellington, Ireti Dyole, Kenny Blaq and Omotola Jolade. As for Wande, she has quite a number also, who include Taraji P Henson, Nse-Etim, Tyler Perry, Kevin Hart and Omotola Jolade. So far, they’ve been no scandals and they do not hope to have any. As regards the challenges they’ve been facing, they have mentioned issues such as, personal schedules and distance barrier (especially) . Regardless, they have been able to put up awesome skits and they hope that with time, these challenges would create a pathway to beautiful things. The Oshisko twins are promising to be better and serve you more. They are also asking you to anticipate a short film that will shake the industry. I can’t wait. Can you? Join Wura next week, as she brings to you another of your favorite celebrities.